Posted on Tuesday, January 13, 2015 by "T". Another day of the 2015 PokerStars Caribbean Adventure has come to an end and there are now only 24 players left with the chance of taking home the incredible $1.4 million first-place prize! PCA 2015: Juan Etcheverry Leads Final 59; Ronaldo Still Alive! Posted on Monday, January 12, 2015 by "T". The 2015 PokerStars Caribbean Adventure Main Event has been running over the weekend and the final 59 players will return at noon today for Day 4. All the remaining players are in the money as the money bubble popped in Day 3 when 119 players remained. A minimum cash is now worth $24,140 and the last man/women standing at the end of it all will take home a massive $1,491,580 first-place prize! 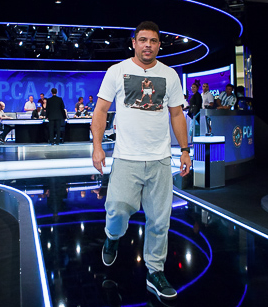 Read more » PCA 2015: Juan Etcheverry Leads Final 59; Ronaldo Still Alive! Nadal Defeats Ronaldo in "The Duel"
Posted on Friday, November 21, 2014 by "T". In case you missed it, Rafa Nadal ended up winning the heads-up challenge called "The Duel"' against fellow PokerStars' SportStar and Brazilian football legend Ronaldo. The heads-up match took place on Tuesday at the Hippodrome Casino in London. A winner was not determined until the very last hand of the 20-minute battle. 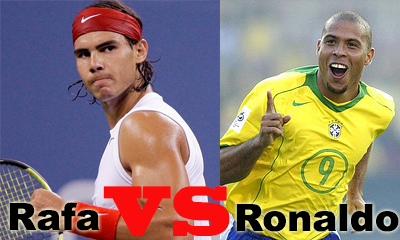 Read more » Nadal Defeats Ronaldo in "The Duel"
Posted on Monday, September 22, 2014 by "T". 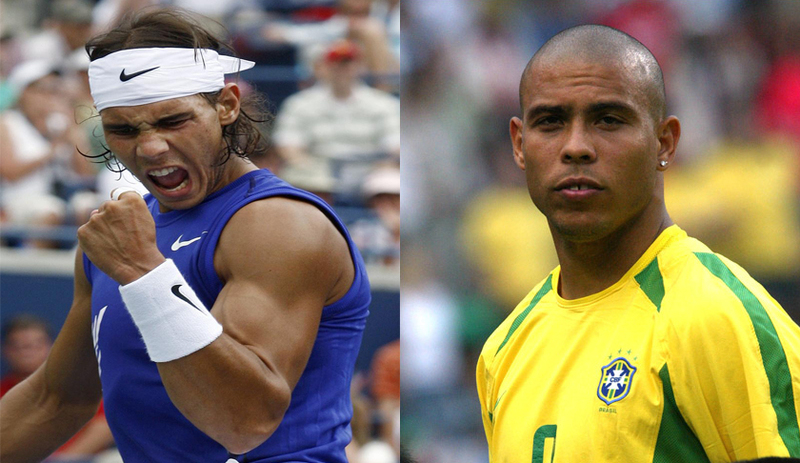 Brazilian football legend Ronaldo Luís Nazário de Lima and 14-time Grand Slam winner Rafa Nadal will face each other at the poker table in a heads-up battle named ‘The Duel' on November 6th in London (will be broadcasted here on Bankrollmob). 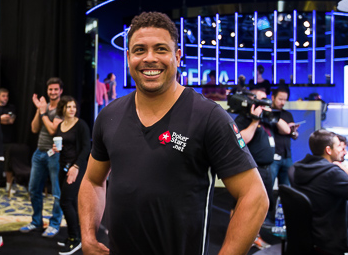 "Ronaldo has always been a hero of mine and I'm looking forward to taking him on at the poker table," Nadal said in statement last week. "The great thing about poker is that it's a common ground for us to compete on, and there are many similarities between sport and poker strategy, so it will be good to see how he translates his game from the football field to the poker felt."